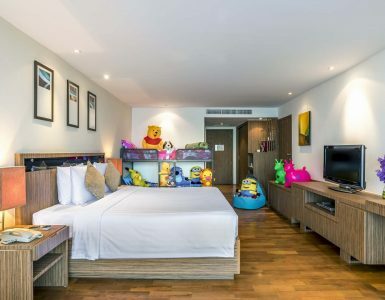 Enjoy an unforgettable experience at Family Fun Suite Room with modern and spacious. 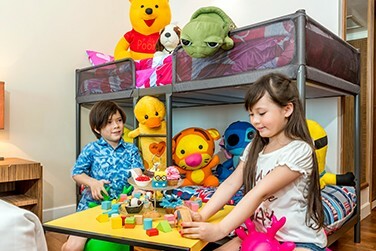 The family fun suite includes one King bed, and a separate living room with bunk beds. 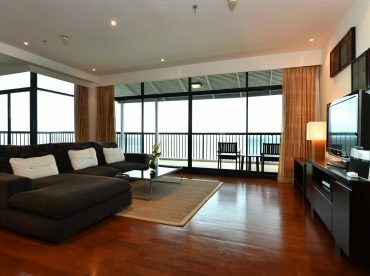 Facilities include private balcony with mountain and panoramic ocean views, LCD TV, minibar. From 614 sq.ft.(57m²). Room size is 614 sq. ft. (57 sq. m.).